Dryer Vent Wizard specializes in cleaning, repairing and installing dryer vents. They do more than clean vents; they help to ‘pre-vent’ problems in the laundry room, including environmental hazards like mold, dust, and most important, dryer fires. Janice Bittner has owned Dryer Vent Wizard of Northern Virginia since 2006. Her husband and partner, Doug was a commercial airline pilot and she was the director of marketing for a regional real estate services provider before going into the dryer vent service business. Education is an important part of the Wizard’s services. Customers receive the highest quality dryer vent services available in the industry and valuable information to keep their family safe while reducing energy bills and improving dryer performance. Professional dryer vent installation, regular dryer vent cleaning and dryer vent repair service is the Wizard’s main focus. Dryer Vent Wizard technicians can diagnose problems to maximize air flow required for a dryer to operate safely and efficiently. The Wizard carries all the tools and materials needed to complete the entire job in one day, from dryer vent cleaning and repair to professional dryer vent installation according to current safety standards. Over 80% of American homes have clothes dryers and only 20% of residents are aware of the importance of dryer vent cleaning service. 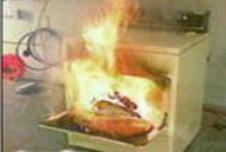 Over 17,000 dryer fires occur annually, resulting in deaths, injuries and over $100 million in property damages with failure to clean dryer vents being the number one cause. The Wizard’s goal is to raise customer awareness even if they don’t choose to have work completed the day of the appointment. According to the Multi-Housing Laundry Association (MHLA) and Lawrence Berkley National Laboratory (LBL), a poorly vented clothes dryer can cost and additional $18 - $24 per month to operate…That’s nearly $300 per year in additional energy expenses! Customers who have dryer vent services performed by the Wizard enjoy peace of mind that their dryer is operating safely and efficiently. Dryer vent cleaning prevents fires, reduces energy bills, prolongs the life of the dryer, prevents mold and mildew damage to homes, prevents carbon monoxide poisoning with gas dryers and improves dryer performance. Professional dryer vent installation by the Wizard ensures a safe dryer vent system installed according to current building and safety codes to accommodate the dryer manufacturer’s warranty. Unlike other dryer vent cleaning services, the Wizard spends 2 to 3 hours on each job to be sure everything is done correctly and the job site is spotless when they are finished. The job is not complete until the customer understands how their dryer vent system works and how to be sure it is properly maintained in the future. Do you Know What's in Your Dryer Vent? 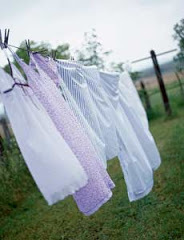 Are Clothes Lines Making a Comeback? Don't Let Your Dryer Start a Fire! Clutter in the Laundry Room - Wizard Warning!